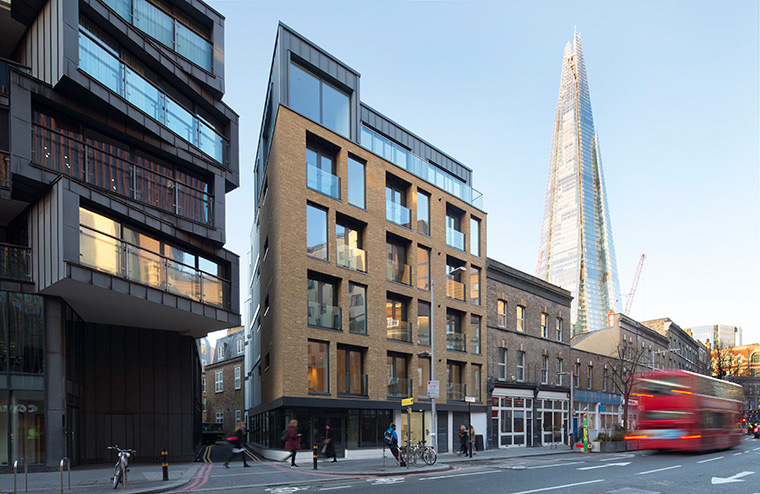 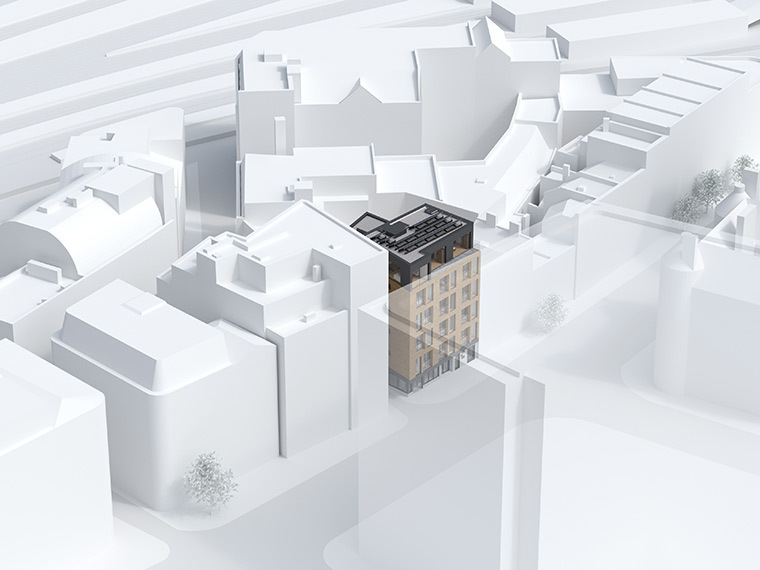 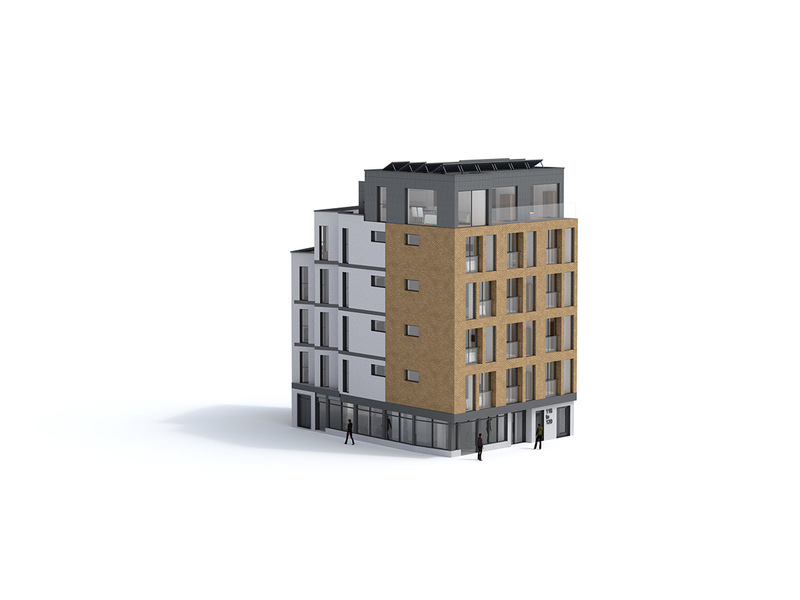 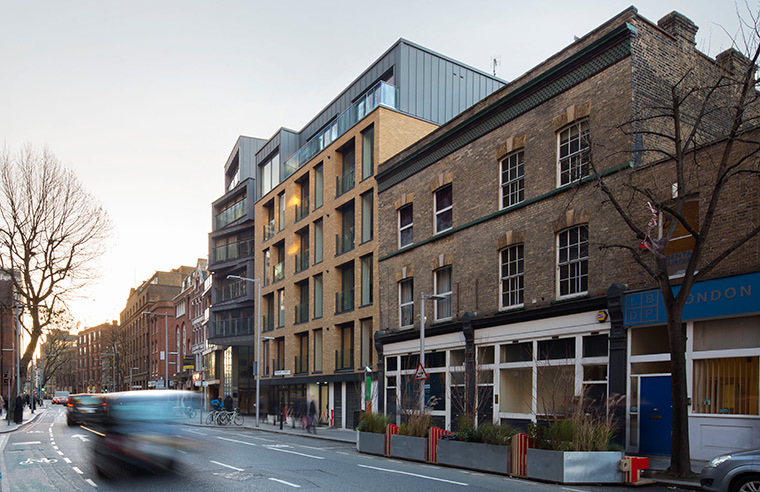 This small private development sits on a corner site that was previously a small car park on Tooley Street, between London and Tower Bridges and provides 9 flats and a commercial unit on the ground floor. 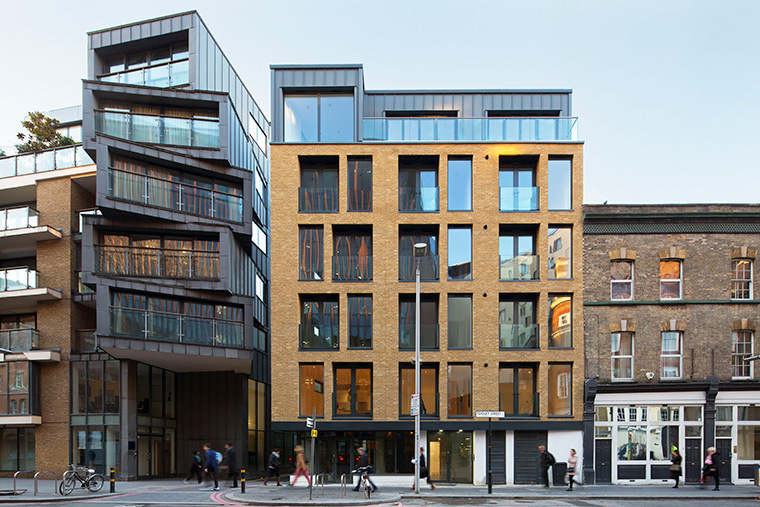 Sitting within the Tooley Street conservation area, the building, like many of its neighbours, is of London stock brick, with large windows and is almost entirely glazed on the top floor. 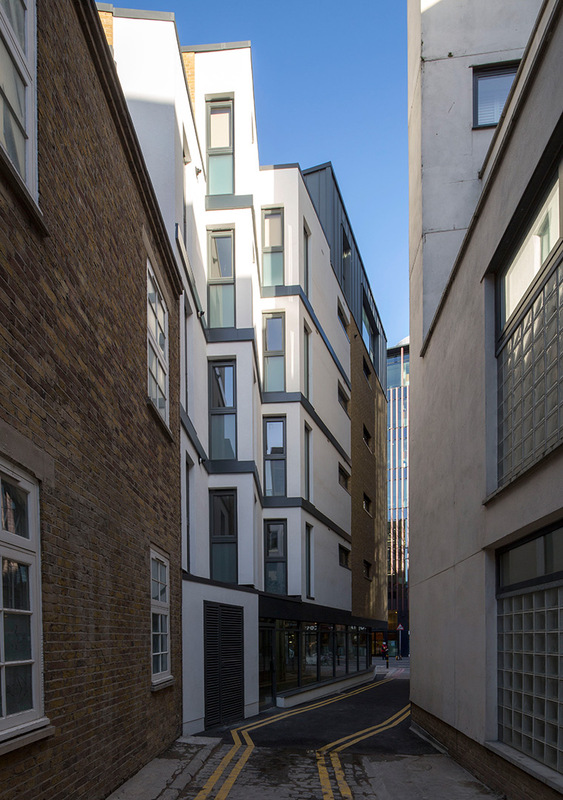 The roof ties in with the existing street level, but steps down gradually towards the back of the building, providing a shared roof terrace for residents and two green roofs as well as photovoltaic panels on its top.